During the 2009 pandemic of swine flu, 43 to 89 million cases of the infection were reported. Around 1,799 deaths were also reported in 178 countries during the one year span (1). Yes, swine flu had taken all of us by surprise that year. Post the pandemic, some people stopped eating pork, and if reports are to be believed, many turned vegans. While the number of people affected by this infection has seen a huge decline, swine flu continues to strike terror in certain parts of the world. How does swine flu spread? What are the treatment and prevention options available to battle this infection? Scroll down for more information. Swine flu is a type of viral infection, initially observed in pigs (which is how it got its name). Pigs can also transmit the influenza virus to humans, especially to those who are in contact with veterinarians and hog farmers. Although this virus originated in pigs, it is primarily known to spread from person to person. Swine flu is also referred to as H1N1 flu, named after the virus responsible for triggering it. It can cause upper and potentially lower respiratory infections (1). The H1N1 virus strain was recognized by scientists in 2009. This virus was found to be a combination of viruses from pigs, birds, and humans. It is highly contagious and can quickly spread from one person to another. 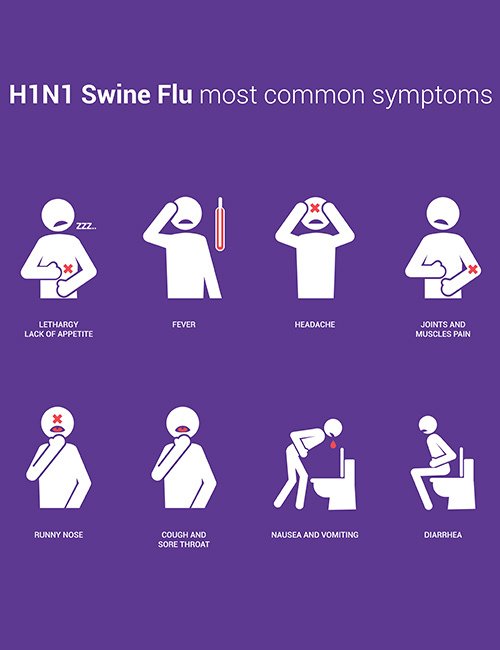 The symptoms associated with swine flu are more or less similar to those exhibited by regular cases of influenza. Since the symptoms of swine flu are very much similar to that of the flu, it may be confused for the latter. However, the causes of both these infections differ as they are caused by different strains of the influenza virus. Swine flu is caused by a strain of the influenza virus called H1N1, which was previously only known to infect pigs (1). Unlike typhus, which is often transmitted by lice and ticks, the virus spreads more from person to person rather than from an animal to person. Since swine flu is very contagious, it can easily spread from one infected individual to another through the saliva and mucus particles. When a non-infected individual touches the contaminated utensils and then ends up touching their eyes or nose with the same hand, they can also get infected with the virus. 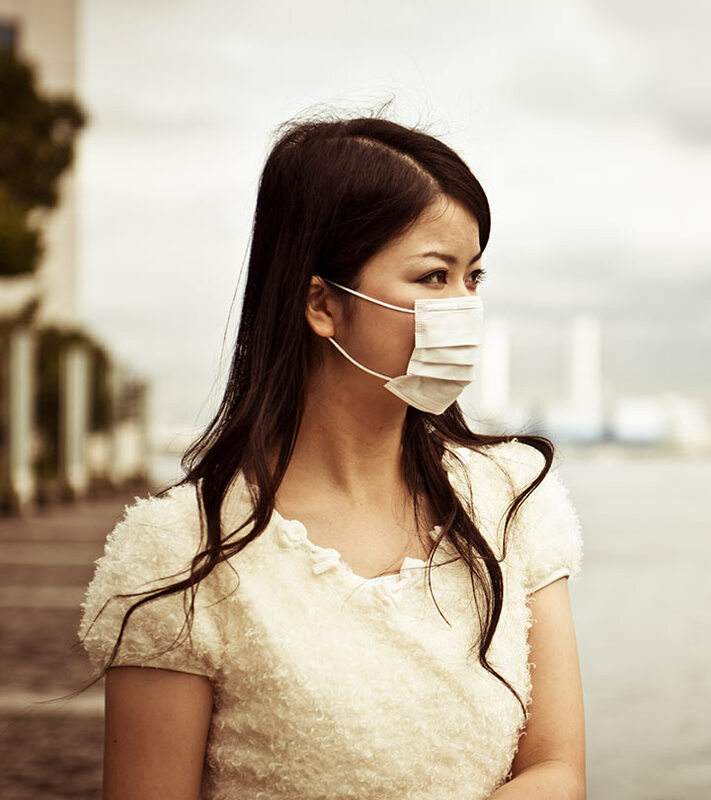 Some factors can also increase your risk of developing swine flu. Age – Adults older than 55 years and children under 5 years are at higher risk of developing swine flu. Young adults as well as children who have been receiving long-term aspirin therapy. Individuals with a weak immune system such as those with HIV/AIDS. Pregnancy – Pregnant women are also at a higher risk of getting the flu. Medical conditions like heart disease, asthma, or diabetes. If you think you may have contracted swine flu, it is better to get yourself diagnosed at the earliest to begin treating the infection promptly. Your doctor may first carry out a physical examination and then ask you about your signs and symptoms. If swine flu is suspected, they may ask you to undergo a test to detect influenza virus. One of the most commonly used diagnostic tests to detect the influenza virus is the rapid influenza diagnostic test. For this, a swab sample from your nose or the back of your throat is collected. This sample is then tested for antigens that indicate the presence of the virus strain (3). However, since the test results are known to vary greatly, your doctor may diagnose influenza looking at the symptoms, despite the test result being negative. If you are diagnosed with swine flu, the following treatments may be prescribed by your doctor to try and battle the infection. However, viruses can develop resistance to these drugs. Hence, physicians usually reserve these drugs for those at high risk of complications from the flu. Swine flu vaccines are also available to prevent the infection. If you exhibit mild to moderate symptoms of swine flu, in addition to medication, you can try the following tips to manage the symptoms naturally. Rest – Getting plenty of rest can strengthen your immune system to fight the infection. Stay Hydrated – Drink plenty of fluids and water to prevent dehydration. Soups are a great way to replenish your body with the lost nutrients. Painkillers – Try taking over-the-counter painkillers like ibuprofen or acetaminophen cautiously. The following are some tips that can help you avoid the infection while also preventing it from spreading. Stay at home if you are infected until you recover completely. Wash your hands regularly. Use either soap and water or an alcohol-based hand sanitizer for this purpose. Use a tissue or a face mask if you are coughing or sneezing to prevent the infection from spreading. Infected individuals must avoid touching their nose, mouth, or eyes. Avoid crowds if you are at high risk of catching the flu (refer risk factors). Your diet also plays an important role when it comes to battling swine flu successfully. The following are some diet tips that can help manage the symptoms. You will feel dehydrated and weak if you have swine flu. Broth – A warm broth can help prevent dehydration while also relieving congestion (4). Garlic – Adding crushed garlic to your favorite salads and dishes can enhance your immunity, thereby helping your body fight the flu better (5). Yogurt – Its immune-enhancing properties can help fight the flu symptoms (6). Other foods that can help improve your immunity include citrus fruits, leafy greens, broccoli, and oatmeal. While most symptoms of swine flu usually ease in a few days, it may take up to a week to get over the flu completely. 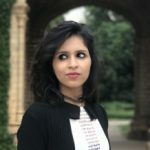 Following the diet and prevention tips discussed in this post can help speed up your recovery from swine flu and also prevent the development of secondary infections. If your symptoms are severe, avail medical treatment immediately to prevent complications from the infection. Hope this article has helped in clearing all your doubts regarding swine flu. For any further queries, do not hesitate to get in touch with us through the comments section below. How long does swine flu last? The worst of the symptoms of swine flu usually last for about 5 days. However, it may further take 1 to 2 weeks to get over the flu completely. Yes, there are currently two brands of vaccines for swine flu – Pandemrix and Celvapan. What is the difference between swine flu and bird flu? While both swine flu and bird flu are both caused by influenza viruses, they are caused by different strains. Swine flu is caused by the H1N1 strain, whereas, bird flu is triggered by the H5N1 strain. The symptoms of both these infections are more or less similar to the common flu. Does swine flu spread by eating chicken? No, swine flu does not spread by eating chicken. 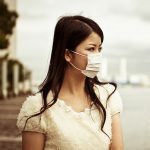 Can H1N1 be cured without medicine? Yes, mild to moderate cases of swine flu with the least risk of complications can be easily cured with bed rest and intake of fluids. Does a flu shot protect against swine flu? No, a seasonal flu shot doesn’t protect against swine flu. Can you get swine flu twice? Yes, you can get swine flu more than once, just like the seasonal flu. “H1N1 Influenza (Swine Flu)” StatPearls, US National Library Of Medicine. “An insight into the swine-influenza A (H1N1) virus infection in humans” Lung India, US National Library Of Medicine. “2009 H1N1 Influenza” Mayo Clinic Proceedings, US National Library Of Medicine. “Effect of sodium in a rehydration beverage when consumed as a fluid or meal.” Journal of Applied Physiology, US National Library Of Medicine. “Immunomodulation and Anti-Inflammatory Effects of Garlic Compounds” Journal Of Immunology Research, US National Library Of Medicine. “Immunologic effects of yogurt.” American Journal of Clinical Nutrition, US National Library Of Medicine.